Browse asafoetida suppliers by country and region. 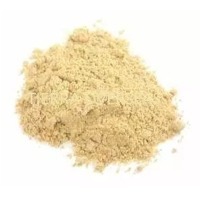 Tierra Overseas is manufacturer and supplier of Asafoetida Powder in India. Asafoetida is the dried latex (gum oleoresin) exuded from the rhizome or tap root of several species of Ferula. The species is native to the mountains of Afghanistan, and is mainly cultivated in India. Asafoetida has a pungent, unpleasant smell when raw, but in cooked dishes, it delivers a smooth flavor, reminiscent of leeks. This dried gum resin and has a unique odour from its sulfur compounds that are present in it. It resembles the flavour of shallot or garlic and is used many times as a substitute. It is used sparingly and produced mainly in India. Biological Source	Ferula foetida Family	Apiaceae Culinary Use	This spice is used as a digestive aid, in food as a condiment, and in pickling. It typically works as a flavour enhancer and, use along with turmeric is a standard component of Indian cuisine. It is widely used in South Indian and Maharashtrian cuisine, which is mainly vegetarian, and is often used to harmonize sweet, sour, salty and spicy components in food. Asafoetida also serves the purpose of a vegetarian alternative to make food taste more full-flavoured and savoury. The spice is added to the food at the time of tempering. Sometimes dried and ground asafoetida (in very mild quantity) can be mixed with salt and eaten with raw salad. Health Benefits	Asafoetida has antiflatulent properties. Asafoetida is used as a medicine for flatulence and constipation. It is also used as a digestion aid. 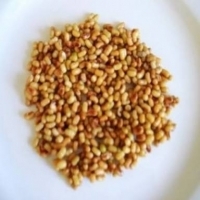 It is excellent remedy for asthma and bronchitis. Asafoetida has an Antimicrobial property. Asafoetida has a contraceptive/abortifacient property. We are offering all kind of indian spices, food and feed products. Asafoetida Powder Asafoetida is the dried latex (gum oleoresin) exuded from the rhizome or tap root of several species of Ferula. The species is native to the mountains of Afghanistan, and is mainly cultivated in India. Asafoetida has a pungent, unpleasant smell when raw, but in cooked dishes, it delivers a smooth flavor, reminiscent of leeks. This dried gum resin and has a unique odour from its sulfur compounds that are present in it. It resembles the flavour of shallot or garlic and is used many times as a substitute. It is used sparingly and produced mainly in India. Short on time? Let asafoetida sellers contact you. Asafoetida, holi colours and other spices. Asafoetida, camphor, loban, pooja products. Asafoetida (perunkayam), aapalam, cup samrani (benzoin). 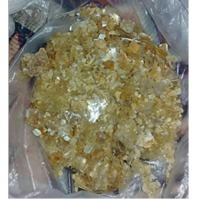 Asafoetida, ferula asafoetida, asafoetida powder, asafoetida lumps, asafoetida pellets, asafoetida blocks, hing, hing powder, haltheeth, devils dung, asafetida powder. Appalam, spices powders, pickles, flours variety, asafoetida.